After using six of the eight set of beard oils , I started using Balbo Beard Co #7 Beard Oil oil that is unscented. This is where a brands oil is really put to the test, how good is the base of the oils when its standing alone or Naked as this oil is described! Balbo Beard Co #7 Beard Oil is a blend of Grapeseed, Jojoba and Argan carrier oils and these oils can vary massively depending on quality of the oil. You can pick up these oils for very little and so you could just mix your own oil, why not? You would save money right? But I don’t think that is the case, the carrier oils used in this beard oil are clearly of a very good quality. So the only way to make it worthwhile would be to buy bulk and so for you and maybe a couple of friends and then you have to experiment with ratios to get the oil just right and so it’s actually not worth the hassle and it will be quite costly. The oil is as I mentioned, unscented and so you do get just the scent of the oils which is just a very mild earthy scent, this isn’t noticed unless you warm it in your hands and then smell it. The three oils individually have very good benefits for your beard and the skin underneath and the so the blend of the three oils together is perfect to keep your beard looking good. You can read here about the benefits of the various carrier oils. My beard was without a doubt left feeling softer and it had a healthy sheen. 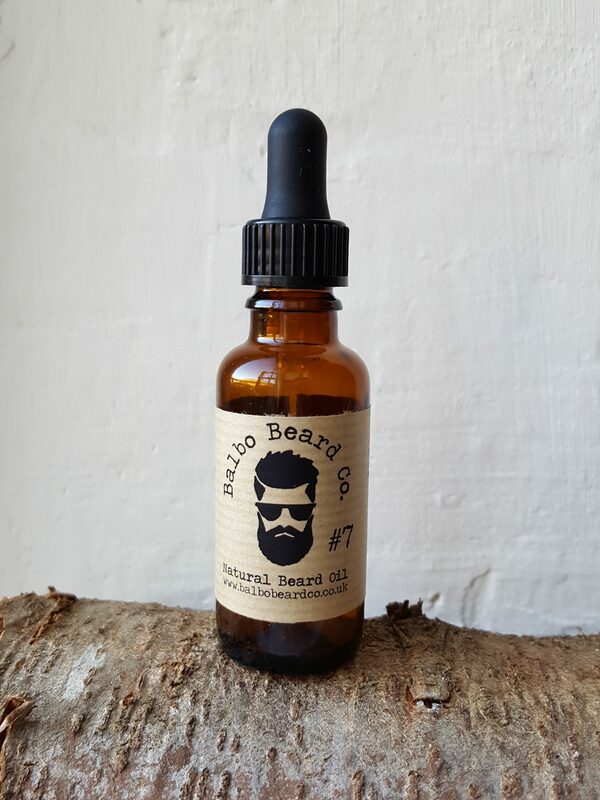 Balbo Beard Co #7 Beard Oil comes in a 30ml amber coloured glass bottle to prevent the UV light spoiling the oil, it is available from either the Balbo Beard Co website or from their Etsy shop for £12.99. The oils are also available as 10ml bottles or 3ml samples.